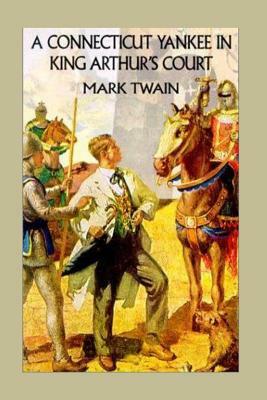 A Connecticut Yankee in King Arthur's Court is an 1889 novel by the American humorist and writer Mark Twain. In the book, a Yankee engineer from Connecticut is accidentally transported back in time to the court of King Arthur, where he fools the inhabitants of that time into thinking he is a magician-and soon uses his knowledge of modern technology to become a "magician" in earnest, stunning the English of the Early Middle Ages with such feats as demolitions, fireworks and the shoring up of a holy well. He attempts to modernize the past, but in the end he is unable to prevent the death of Arthur and an interdict against him by the Catholic Church of the time, which grows fearful of his power. Twain wrote the book as a burlesque of Romantic notions of chivalry after being inspired by a dream in which he was a knight himself, and severely inconvenienced by the weight and cumbersome nature of his armor.